Rich… tangy… moist… amazingly good. I can’t get over how easy it was to make it! For so long I always thought that sourdough seemed… complicated and a lot of work. Boy, I was so wrong! I am SO grateful for the gals who put together the Sourdough eCourse… they made it so simple and easy. Now, look at what I’ve made… a sourdough starter from scratch, crackers, pancakes, tortillas, muffins, pizza, cornbread and now a chocolate CAKE! Yeah, it tasted just as yummy as it looks! I doubled the recipe and made a 2-layer cake with homemade cream cheese frosting. I made so much frosting that it almost seemed more like a cheesecake than plain old cake! My oldest, Naomi, loved the frosting so much that she ate it all off her cake and was too full to even finish the cake. LOL! Mix together the starter, coconut milk and wheat flour in a large bowl. Cover and let it sour for 5 to 8 hours. Preheat oven to 350 F and grease a 9×13 cake pan or two 8″-9″ cake pans with butter or oil and set aside. In a different bowl, mix together sugar, coconut oil, vanilla, sea salt, baking soda, cocoa powder and coffee. Add eggs and beat it up well. Combine the sourdough mixture with the chocolate batter. Mix till smooth and pour into prepared pan(s). Bake for 30 to 45 minutes. Test with a toothpick in the center to see if its done. Remove from oven and let it cool completely before tipping them onto a plate. Whip together everything except the coconut flakes in a blender or food processor till smooth. 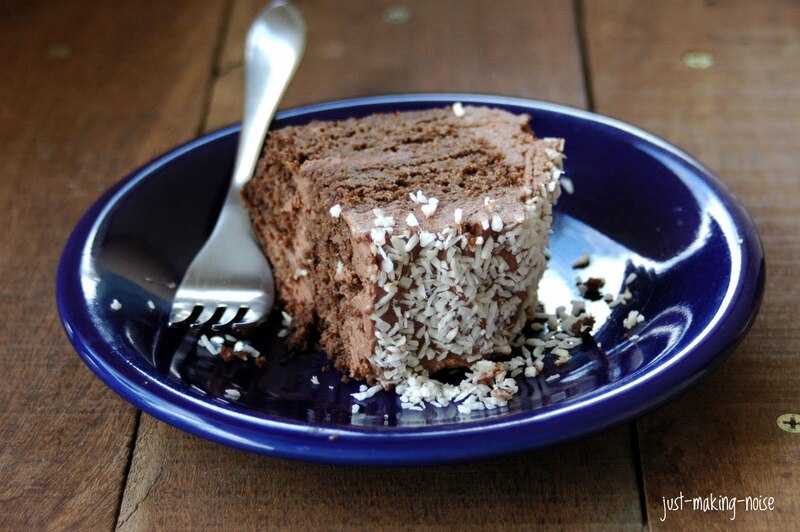 If you are doing a 2-layer cake, tip out the first cake onto a plate and spread with frosting. Tip out the second cake on top and spread frosting on top and the sides. Sprinkle heavily with coconut flakes. Serve and enjoy! By the way: I updated my recipes page. Hopefully I will stay on top of that from now on! Wow — I’ve never thought to make a cake with my sourdough starter! Thanks for the inspiration, I’m going to give it a try. Awesome! Hope you enjoy it Eron! 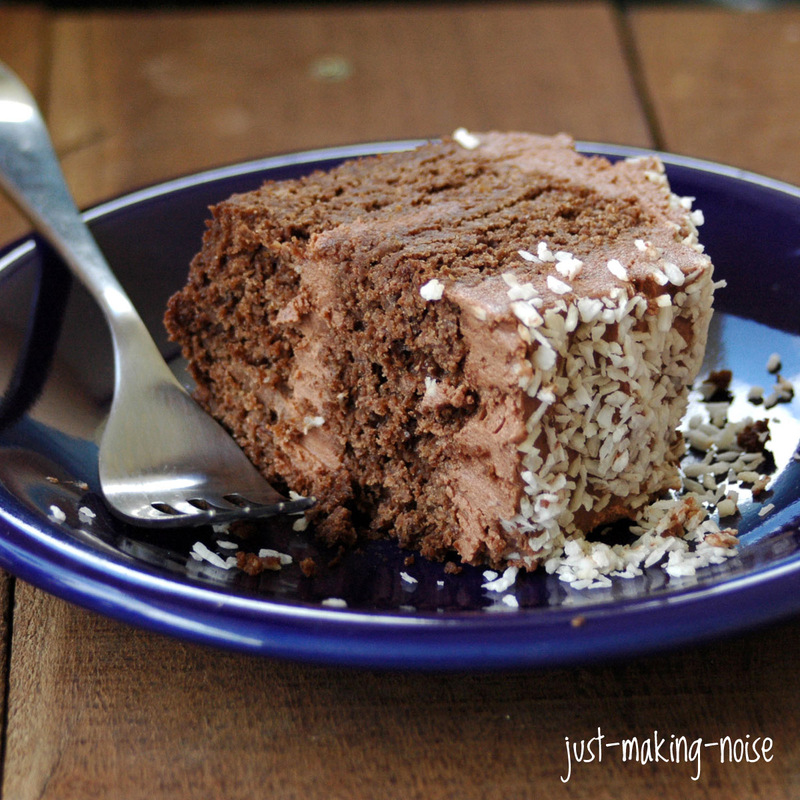 I love sourdough chocolate cake! I make mine with a cocoanut oil frosting instead. My favorite way to eat it is cold too. Love the pictures Mare! Hope you are doing well. Hugs! Yum! 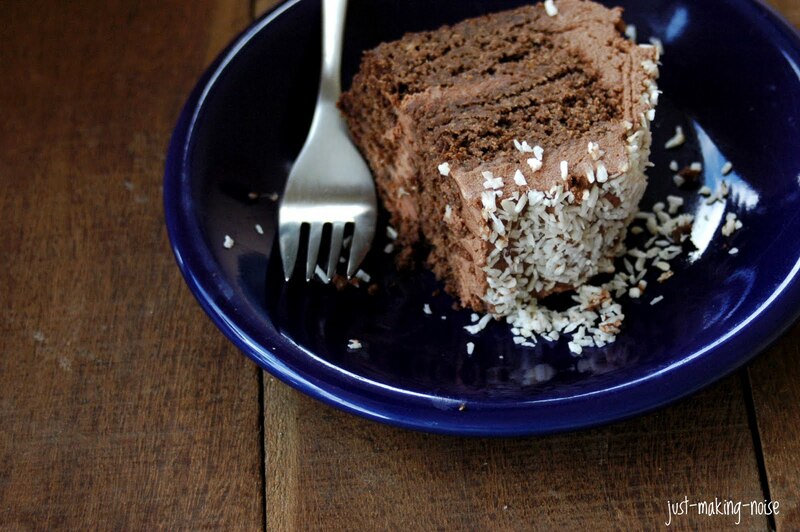 Sourdough, chocolate, and coconut…three of my favorite things. Put them all together and it has to be heavenly! I will most definitely be making this very soon. Thanks so much for sharing! Marilyn, I am loving this recipe. I also made my own sourdough by scratch. It was great & I had fun. I enjoy the process very much too. thanks for sharing. I’m looking forward to your wonderful recipes. May god bless you & your family. 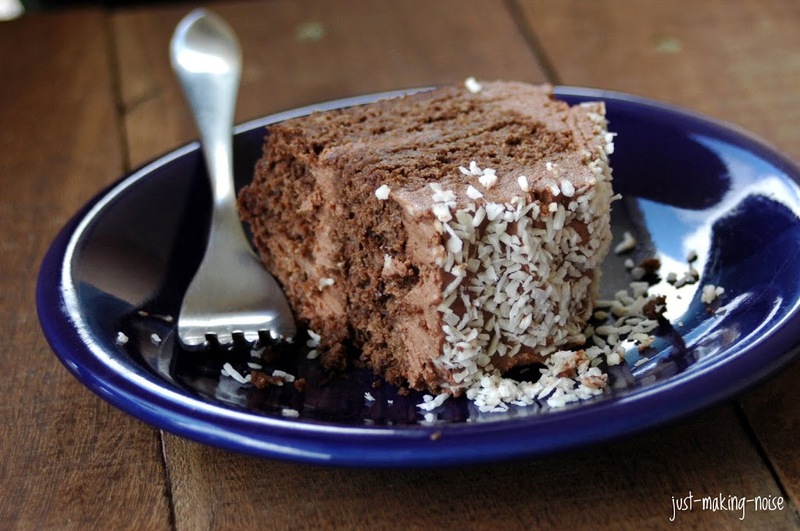 Coconut, sourdough and chocolate, now that’s a combo I can sink my teeth into — thanks! But why no Dutch cocoa?